We spent our Independence Day holiday lazily barbecuing with our friends Chris and Courtney. E prepped a seemingly endless area of fishes and dessert dishes, and Chris manned the grill all day between trips back into the AC. Courtney and I mostly just ate cheese. Chris and Courtney are new friends, but Chris is an old acquaintance. In college he was always a friend-of-a-friend. The guy with the crazy stories about flipping his truck or blowing up things in his backyard. I would never call him up to offer to hang out. As a result, E didn’t really know him at all. When we re-met him last year at her shared birthday party with Ross we laughed non-stop with him and his new girlfriend Courtney, and kept gravitating back to them in conversation in a room full of people we knew better. A few months later, we called them up for dinner on a whim, and now we’re semi-regular friends. I find that a lot of the people I spend time with fall into the category of “new friends,” though it’s less down to meeting people at parties, and more because of social media. Yet, the things that give me fodder for discussion on Twitter are the ones keeping me from hanging out with the people I’m tweeting! And that’s okay – that’s how we Twitter-met, after all, and we still all have Twitter to chat on. I can be busy and physically anti-social, but still digitally mingle. Chris and Courtney were an exception. They don’t tweet. They use Facebook to collect photos. They occasionally text. If we wanted to see them, we would have to put in the effort and the phone call and actually see them with our eyes instead of a screen. We’ve kept it up over the past year, and every excursion is a fun one. Lately, we’re beginning to take the same methodology to our existing friends – both collegiate and online. Do they want to stop by for lunch? Can we meet them somewhere for a quick cup of coffee? That’s what I spent my Monday night doing, with @PurpleCar. We sat and gabbed for two hour straight in a diner. E invited my dear high school friend Ariel over for lunch on Saturday. We might go to a BBQ that day, as well. Friends are more than just a square of illuminated pixels and bolts of notable musings dashed off between other engagements. Friends are people who make your face hurt from smiling, whose stories you relish and rehash once you’ve known them all. We spent our Independence Day with friends, unfettered by cell phones and check-ins. It felt apropos. Gina models her Level 1 Veil as Bridal Partier Mikki sprays on her first magical rune. After months of preparation, the day of Gina’s real life video game bachelorette party adventure had finally arrived! Actually, it wasn’t the day that arrived, but the day before, which brought with it fellow bridal party member Kelly and her partner Gudrun. They pulled up to my house on a beautiful sunny day to put the finishing touches on Gina’s party. Kelly brought two suitcases into my house – one with her traveling gear, and one packed with supplies for the party. There were her insane 8-bit pins, special puff-painted hats for the chemistry dance, and more. She had even made a lovely fluffy white veil for Gina to wear at the beginning of the day, when we would lure her into a false sense of complacency that her bridal party would be quite normal and not an insane reality show crossed with The Legend of Zelda. As Kelly finished unpacking, two curious items emerged from her suitcase. One was a headband with a lightning bolt affixed to it. The other was a yet-to-be-assembled hat bearing two feathered wings. I nodded, gears spinning inside of my brain. I’m not sure that Kelly knows me well enough to see the crazy emerging in my eyes when I come up with a complicated new idea to make something harder, but I think E spotted it from across the room. I wield the exceptionally large Game Master version of the instruction book to explain the final encounter of the first stage of Gina's Adventure. Kelly inventoried her items. The fluffy veil. The winged hat. The lightning bolt headband. A labcoat, to be bedazzled. Both of our gears now spinning, we headed out to take Gudrun on a tour of suburban shopping meccas in order to gather the final elements of the adventure: tulle for a punk veil, a massive roll of paper to construct banners, and one more piece of bridal armor. Oh, and beer. Finally, what you’ve been waiting for – the next installment will describe the actual gameplay of Gina’s live action video game bachelorette party adventure! The fourth post in this series finds your author all of three days before Gina’s Bachelorette Party AKA All-Day Adventure and I am, let’s say, FREAKING OUT. Gina modeling a vast collection of our stenciled icons in action on Gina's back late in the day in her bachelorette adventure (while Mikki and I spray more stencils int he background). As you can imagine, we had to spray these quickly and in highly public spaces. Allow me to set the scene for you. It is eight or nine at night. I am on my side patio, which I like to pretend is private but really is quite in full view of anyone passing directly in front of our house. I am wearing only my underwear. My blindingly white naked torso vibrates against the dusk like a bike reflector. I am dual-wielding two cans of spray paint against a defenseless bag of planting soil, which is wearing a plain white t-shirt. The shirt bears several iterations of the Starfleet symbol, some in black spray paint, others apparently colored in with a marker. I swear, if photographs of this scene existed, I would totally share one. Why this utter madness? Let’s travel back in time two days. As the guy on the ground in Philly, I was on the receiving end of the various bachelorette party supplies selected by Kelly (in Belgium) and Mikki (in Seattle). Both women are so ridiculously kitschy and crafty that it defies explanation. I received many things. A box of 30 pink t-shirts. A set of Erlenmeyer flasks and graduated cylinders. A package of vaguely phallic sidewalk chalk. 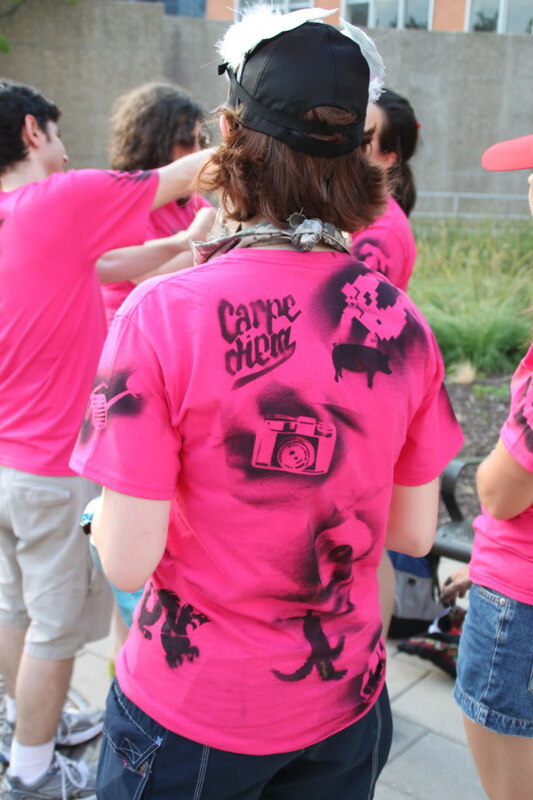 What I did not receive was spray paint for branding our t-shirts. Despite working all day in the midst of a team full of craft maniacs, I am not in the least bit crafty. I’m not even good at speculating about methods of craft. I am good at desktop publishing and subsequently printing things on high end paper. That’s about the extent of my crafting abilities. I am not great at creating things with my hands. I still have problems changing guitar strings. Thus, the spray paint issue was very … concerning. Three days to the party seemed like the time we should be testing the spray paint, to make sure it would work. Kelly and Mikki had mentioned a few potential brands in their emails, but I couldn’t find any online that I could get shipped in three days, because spray paint can only be shipped via ground. 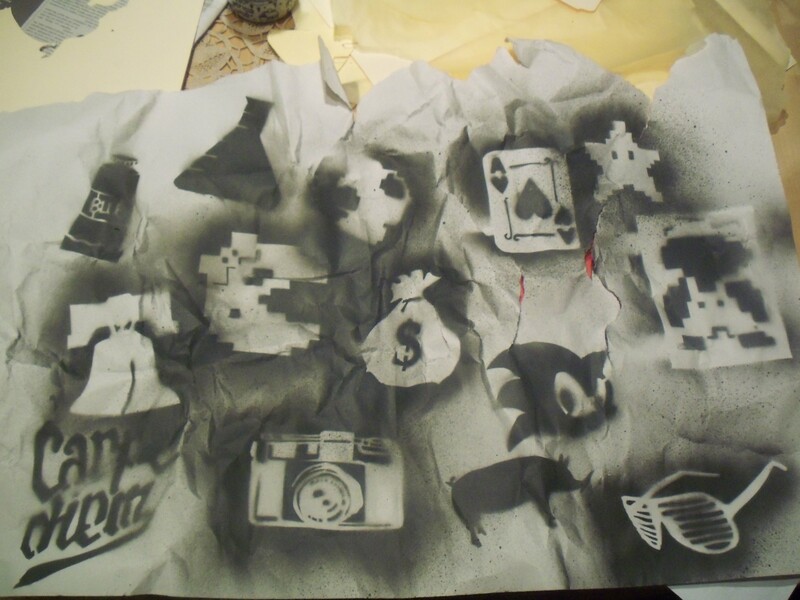 I started researching other spray paint, discovering that most of it needed to be sealed with heat before it set. Every time I found something that sounded like it might work (including, hilariously, “Hunters [sic] Specialties Permanent Camo”) I ordered it for the fastest shipping possible, all the while getting increasingly frustrated that I was researching spray paint at all instead of writing Gina’s instruction book. 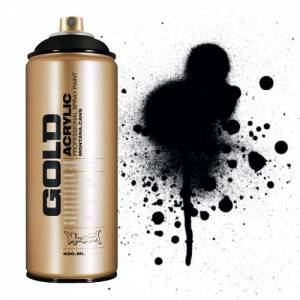 The very highly recommended spray paint choice of Kelly and Mikki was "Montana Gold Acrylic Spray Paint," which comes in every possible color, including metallics. Remember how I recently shared a leadership assessment that said that I have a strong future vision while focusing on data and clearing obstacles? Well, it also told me that under stress I become myopic and focus only on information overload and slaying things. It’s not a big leap to the scene that opened this post. I had five cans of assorted spray paint and two markers lined up and had dressed a 40lb sack of dirt in one of my old t-shirts. At a loss for an icon I could quickly stencil out of a sheet of cardboard, I went back to basics: the starfleet insignia. Not wanting to get spray paint on my clothes (even clothes I’ve set aside specifically in a bin entitled, “for painting”), I elected to strip down to a pair of blue bikini briefs to conduct this exercise. Welcome to my brain. It is a scary place. The next morning Kelly and Mikki talked me down from my panic after I sent them not the sanest or nicest email I have ever written. They helped me figure out which local stores carried the paint they both recommended, and Kelly assured me we could visit one together when she arrived stateside. Mel coaxed me away from my desk at lunch and convinced me I would not have a panic attack from entering a craft store. I bought the recommended spray paint. Now we had all of the necessary elements for Gina’s party, save for three: Kelly, Mikki, and the instruction book that would lay out the rules of the game and all of the various challenges. Tune in next time for Kelly and my madcap adventures the day before the party, how an off-hand mention of a “side-quest” turned into the most hilarious part of the event, and samples from the now legendary instruction book. 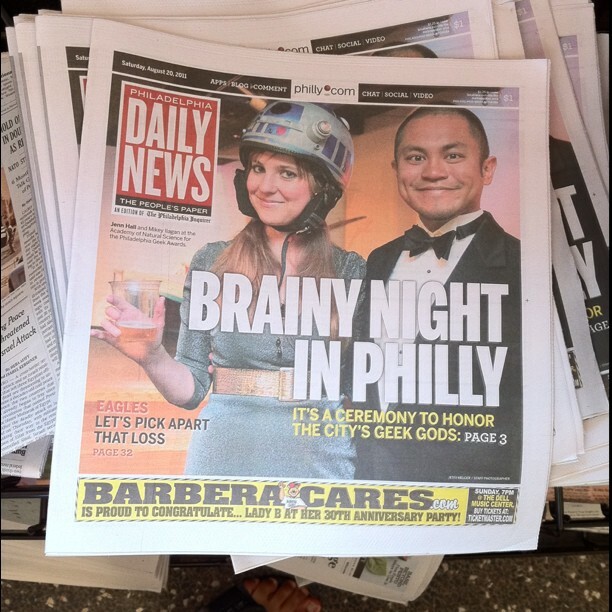 Still aglow from our outing at last night’s Philly Geek Awards, presented by Geekadelphia – as modeled for the cover story of today’s Philadelphia Daily News by my #blamedrewscancer compatriot and Philly digerati MikeyIl! Oh hai! @PhillyArtGirl & @MikeyIl as cover models for the Philly Geek Awards. Photo from MikeyIl's Tumblr. E and I mingled with some of our Twitter BFFs, and spent the ceremony adjacent to the charming crew from KeyPulp and the gorgeous award-winning duo from Talkadelphia. Possibly more thoughts later. Also, an interview with The Il himself in the coming weeks. When I left off last week we had a video game theme, an instruction booklet introduction, and a visual concept of 8-bit goodness – all for my best friend and bandmate Gina’s highly unusual bachelorette party. 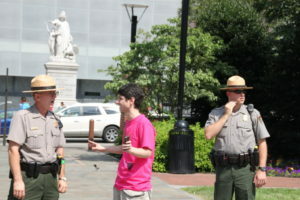 Here I am shown negotiating something - possibly our surrender - with two park rangers while our live action video game was in progress. No, I am not threatening them with a baton, that's just a trick of perspective. Still, they seemed to find me rather intimidating. Notice how the one on the left has his hand near his utility belt, while the one on the right is making an exceedingly obvious attempt to reach for his radio receiver. As for what we’d be actually be doing during our human video game, that was another story entirely. A story with no plot or structure. Or mini-bosses. We had to start somewhere. Since Gina is a chemist by day, we decided she should be challenged to put her chemistry knowledge to the test. 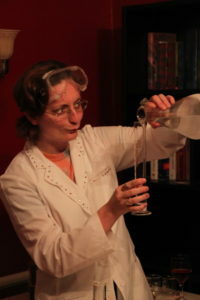 I originally wanted to her to conduct a chemistry demonstration in the middle of the street with everyday groceries, but we eventually decided that might look a bit too much like an act of terrorism during 4th of July weekend within a few blocks of The Liberty Bell. 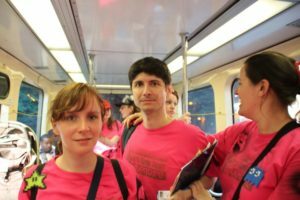 With a mind to not being detained under the Patriot Act, Kelly devised an insane chemistry challenge to fulfill our needs that we could all understand as laypeople… and, possibly as drunks, depending on how the day was going at that point. Gina would explain one of her daily chemical reactions using the entire group to represent various molecules. Except, rather than steer us around like pieces in a giant chess board, she would demonstrate the power of UV chemistry via dance routine she would have to choreograph on the spot. The Chemistry Dance, in action. And this was only one of nearly two dozen potential challenges we had devised. 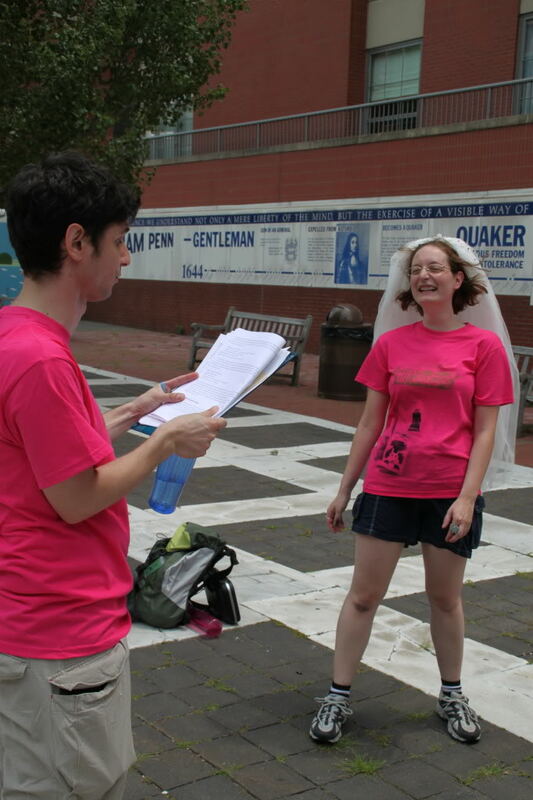 As if scripting the challenges wasn’t hard enough, we also had to plot them across the map of Philly! Now perhaps you are beginning to the understand the sheer depth of our insanity. Whether you are planning a live action video game or a standard scavenger hunt, one of the hardest parts is figuring out all of the locations and how long it will take to get from one to the next. Every time we thought of a possible location or challenge, I put the actual street address into a spreadsheet. When we had a full list, I plugged all of the locations into Google Maps. For my purposes I switched it to walking mode, but you might want it in biking, driving, or public transit, depending on your event. Note that this is not happening in the middle of the intersection of 2nd and Market Streets, as originally planned. Also note Gina's custom-bedazzled labcoat. We wanted six hours of activities, but just the walking added up to over ten hours. That didn’t even count what we’d doat each location. While Kelly crossed off the details (t-shirt, chemistry glassware) and Mikki designed more stencils, I filled in the agenda for the day. The more I penned our challenges, the more I realized Gina would only be interacting with a few of her 20+ guests at a time. What would the other dozen or more do while Gina was having madcap adventure? Unfortunately, time was just about up – Kelly was boarding a plane bound for America, and Mikki was packing up her apartment for a big move before flying to Philly for the party. When I left you hanging a month ago I was planning my best friend and bandmate Gina’s bachelorette party with two of her other best friends, and we were all determined it had to be the best party in the history of all parties. I was thinking it would be fun to get gina a labcoat for the chemistry [demonstration]…decorated and bedazzled of course. 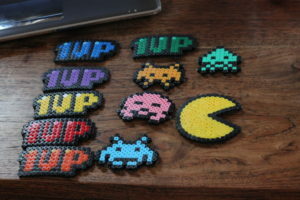 Kelly's party favors, all based on 8-bit video game graphics. I have one of these pinned to my book bag and I still have not the slightest idea of how they were assembled or how Kelly worked out the patterns. While I was excited that they liked my idea, I was also terrified that I now had to transform a day wandering the streets of Philadelphia with 20+ guests into a live action video game. Not just any video game, but a decidedly retro one that would click with a group of people who grew up on classic Nintendo – and, for many of them (including my co-planners), hadn’t played a video game since! It was at this juncture that I pulled out my Nintendo and SNES and started skimming through instruction booklets. Most old-school video games share a basic architecture. A character has to accomplish something (return home, free the princess, kill all the zombies, etc), defeating increasingly difficult challenges (monsters, puzzles, etc) along the way. Their victories yield rewards (points, items, etc) that serve to increase their sophistication (levels, powers, etc). 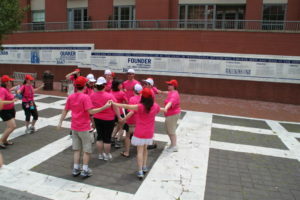 Gina’s journey was clear – she had to complete all of the previously disconnected Amazing Race challenges to move through the city. We were lucky to have a starting point on South Street and an end west of the city, making a sensible (if not linear) world map. Mikki's stencils, corresponding to our various city challenges. Note the mix of incredible realism (the amazing camera, the pig silhouette, the Kanye glasses) with pixelized video game ephemera. Click through to see a larger version of her handiwork. Gina F____: Chemist By Day, Rock Star By Night – The Almost Married Edition! is an epic adventure that will take our hero, Gina, on a journey from one end of Philadelphia to the other to transform her from Chemist By Day, Rock Star by Night to Chemist By Day, Rock Star By Night, And Also Bride! In GF:CBDRSBN-TAME!, Gina will visit key locations of power to defeat challenges, level up, and energize her POWERFUL BRIDE POWERS. Along the way, complete special tasks on the TABLE OF PERIODIC ELEMENTS OF GINA & WES board to complete her special WESLEY QUEST. Gina won’t be able to defeat GF:CBDRSBN-TAME! alone – she will be abetted by friends and buoyed by special power-ups during her journey. This is where my cohorts saved me from writing our event to death with their amazing creativity. While trying to dream up rewards, Kelly thought of making a grab bag of pixelated party favors. Meanwhile, after hearing Kelly’s idea for the favors, Mikki began to design a series of elaborate stencils. The idea was that each one was based on one of our challenges, and could be sprayed onto the shirts we planned to give to all the guests. With a cohesive visual interpretation to tie the video game concept together, the layout of our game was suddenly much clearer. Now I simply had to figure out how Gina could play this game along with twenty of her closest friends. Tune in next time to hear about my concept of gameplay as our preparations became increasingly frantic with less than two weeks until Gina would take the controls of her own personal video game!